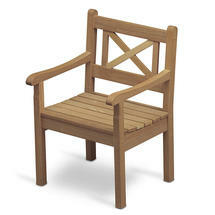 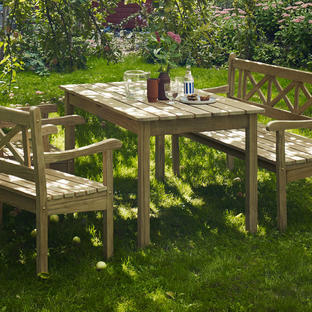 Influenced by the classic Scandinavian Drachmann teak outdoor furniture. 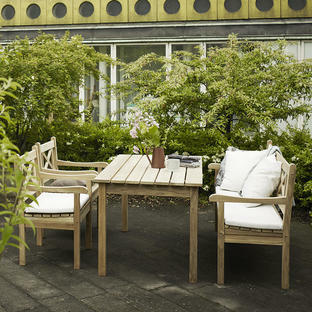 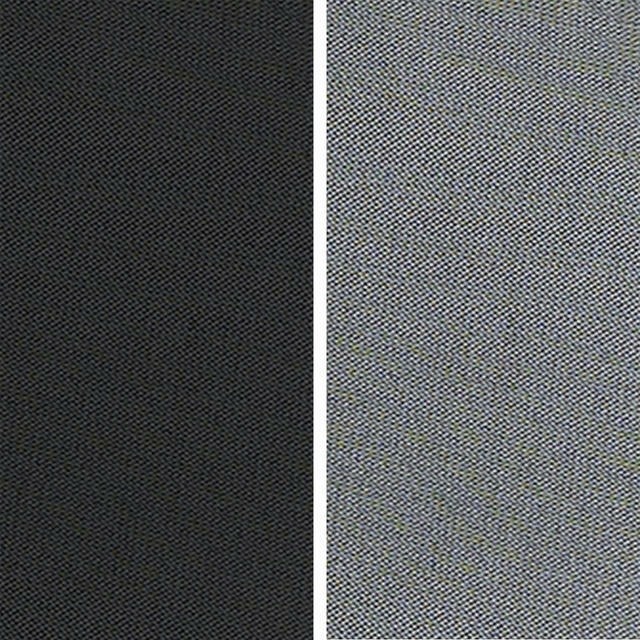 The Skagen collection is influenced by the traditional Drachmann outdoor furniture which is found in second homes across the northern seaboard of Denmark. 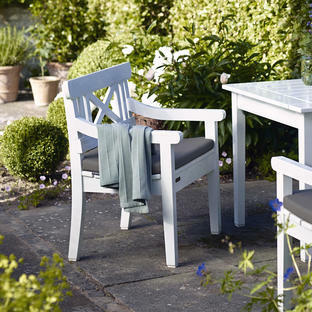 The Skagen chair is perfect as a dining chair with the Skagen tables and with the Skagen bench. 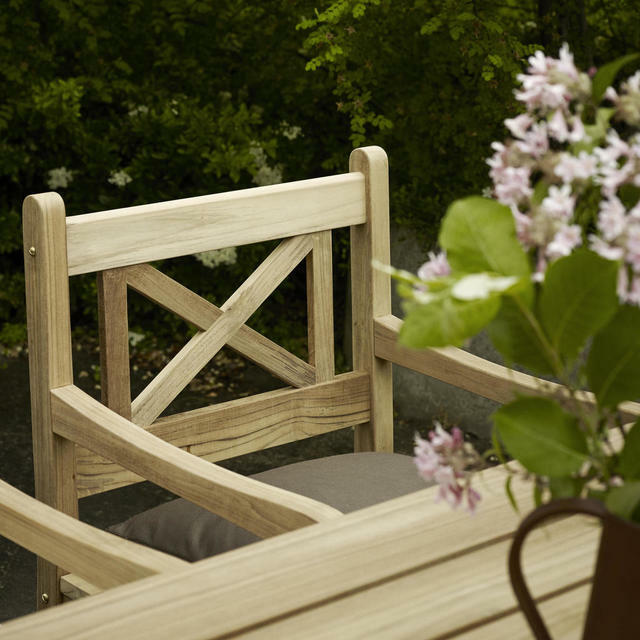 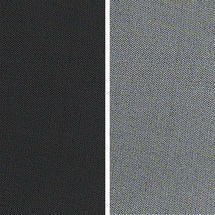 The painted white furniture has 6 layers of paint on the wood to give a high laquered and hardwearing finish. 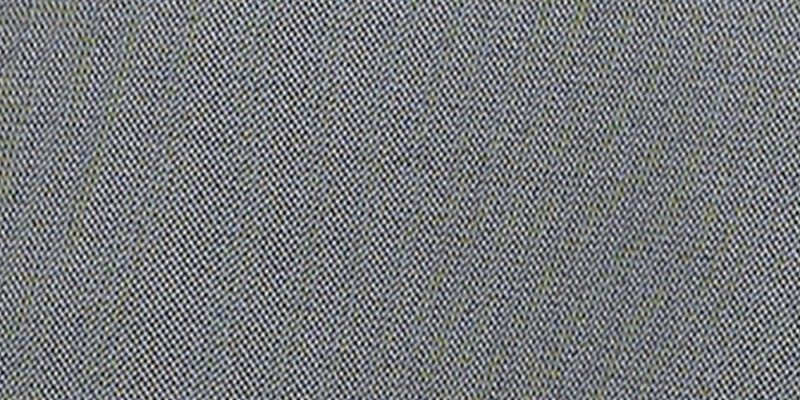 The cushions are made using Barriere® fabric which is UV resistant and mildew resistant and will withstand a shower, but we recommend they are brought in during wet or inclement weather.